I ❤️ BBQ in general, so I obviously love Korean BBQ as well! No kidding, the tender and fatty meat, char-grilled, getting crispier and tastier… hmmm I’m already hungry! 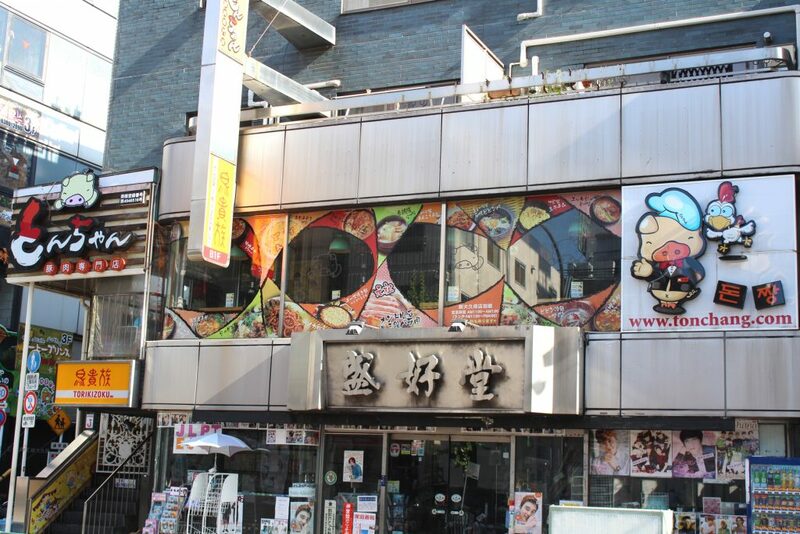 Tonchang restaurant, in Shin-Okubo serves a delicious Korean barbeque. 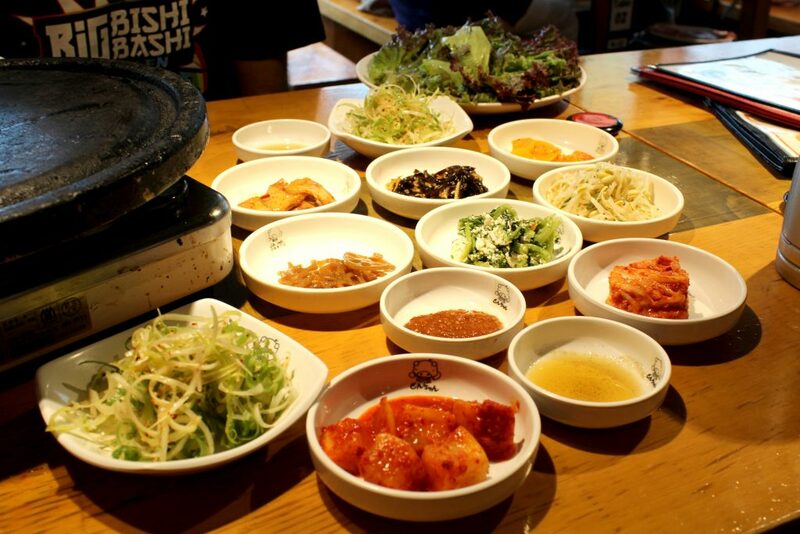 There is a good variety of meats to choose from and it comes with many yummy Korean sides. I might say this is a good option for those following a low-carb diet or looking for something paleo-ish. I would only be extra careful with the sides as they may contain soy sauce and sugar. Sides (I don’t quite remember them all, but let’s try): lettuce, goma-abura (sesame oil with salt), tenjan (Korean miso), negi (seasoned shredded white scallions), radish kimchi, cabbage kimchi, yeongeun jorim (braised lotus root), mung (bean sprouts), and spinach with tofu. 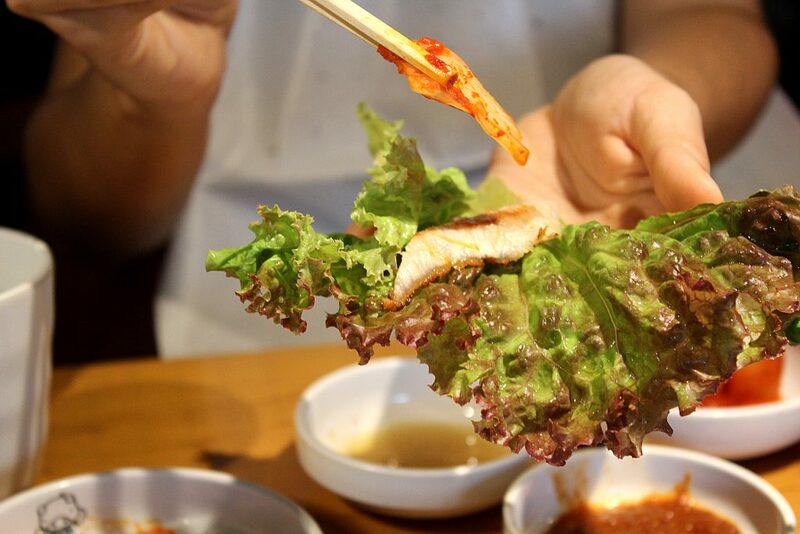 The traditional way to eat it is using a lettuce leave to wrap some piece of meat and some of the sides. Then just put everything into your mouth. Simple like that. Fat from the meat being cooked can splash on you (the restaurant provides a paper apron). Also, takes some time and practice to wrap your meat properly. Apart from the extra work, it’s definitely a great experience and the food is simply delicious, worth a try! I loved this wrap-your-way idea. It was wonderful to play with the flavours and trying different sides each time. Another delicious thing was the kimchi portion they add to the grill to cook with the meat. It adds a kick to the meat. YUM! An important note, the sides are refillable. So feel free to ask for more whenever or whatever you liked the most! About the English: English menu available and staff can communicate just a little in English. 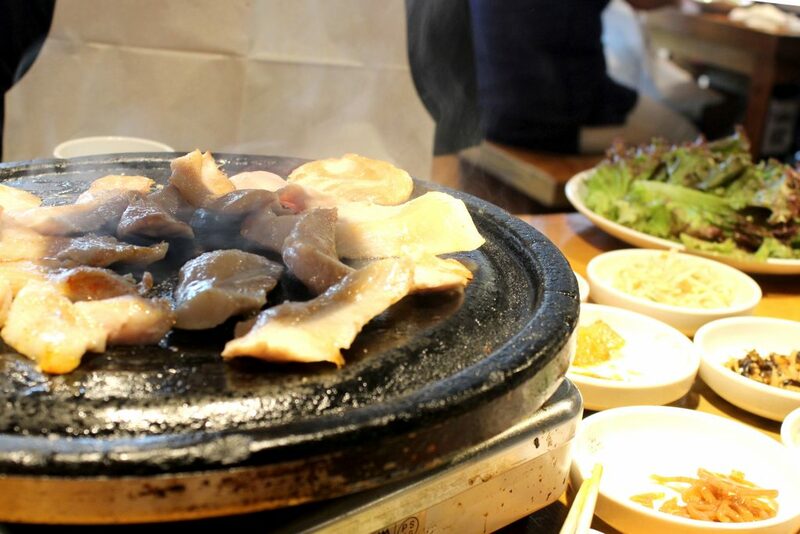 Bill: $2,594 Yen (A$33) – BBQ for two and no drinks.